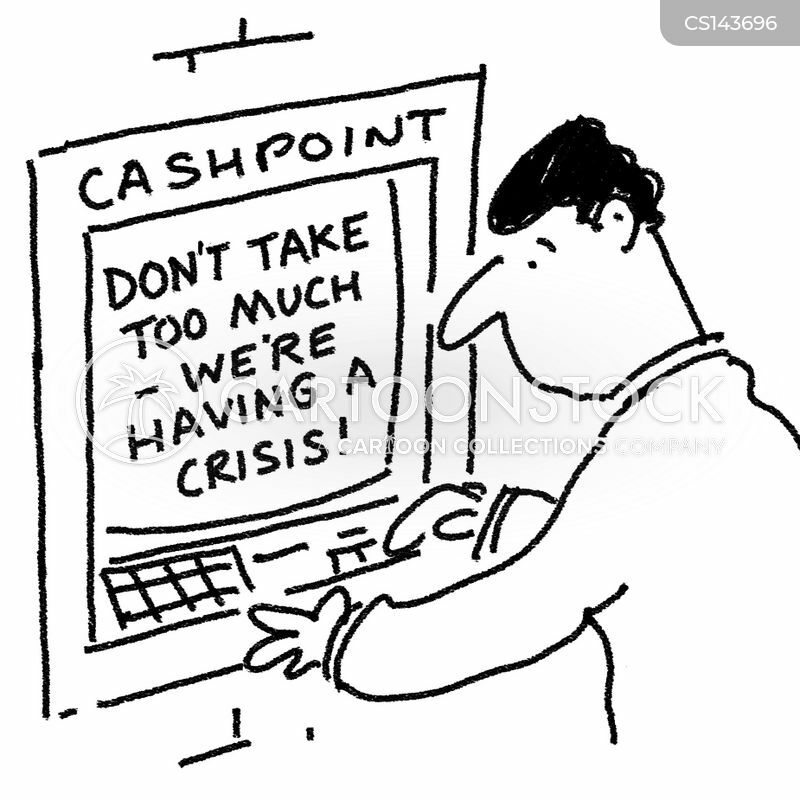 Don't take too much - we're having a crisis! 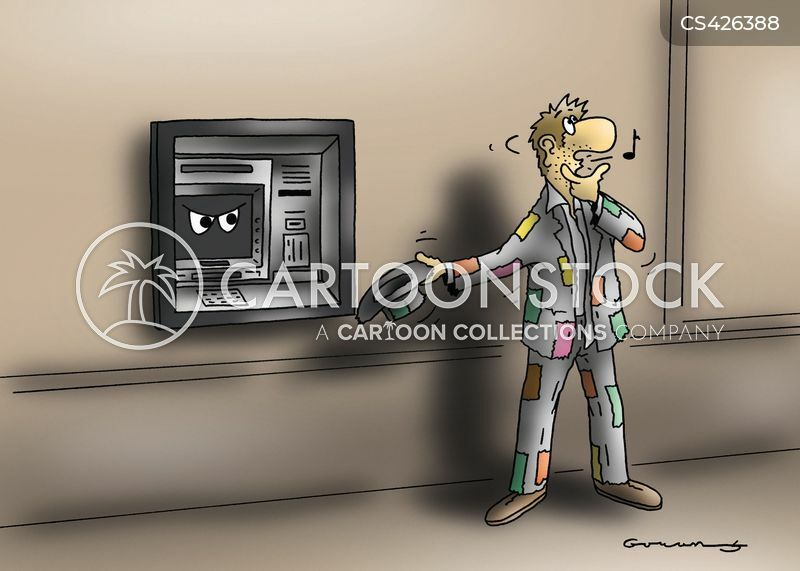 Beggar asks cash-point for money. 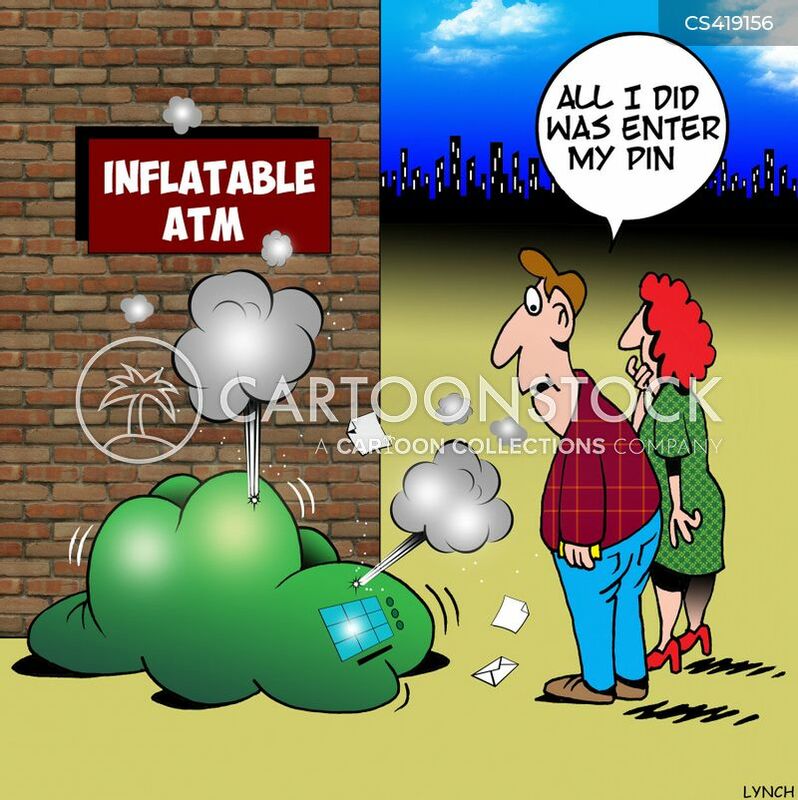 Inflatable ATM: "All I did was enter my pin." 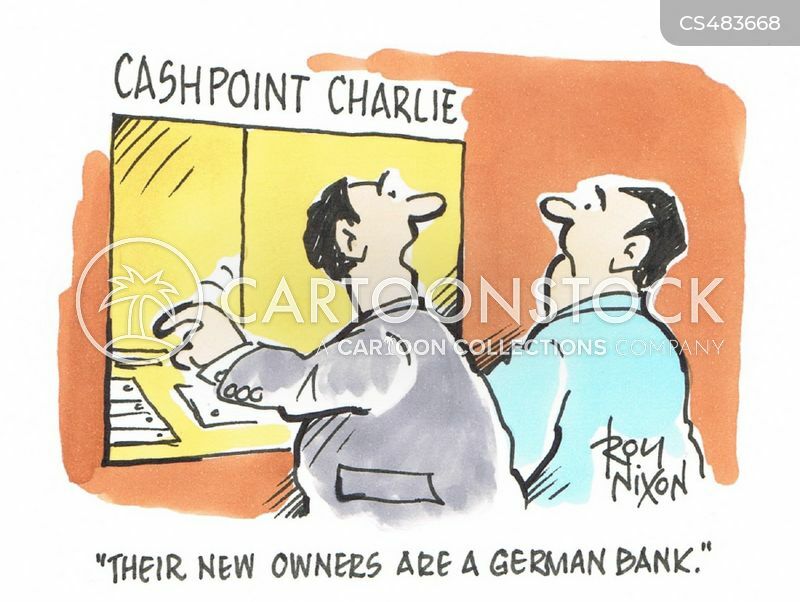 "Their new owners are a German bank." 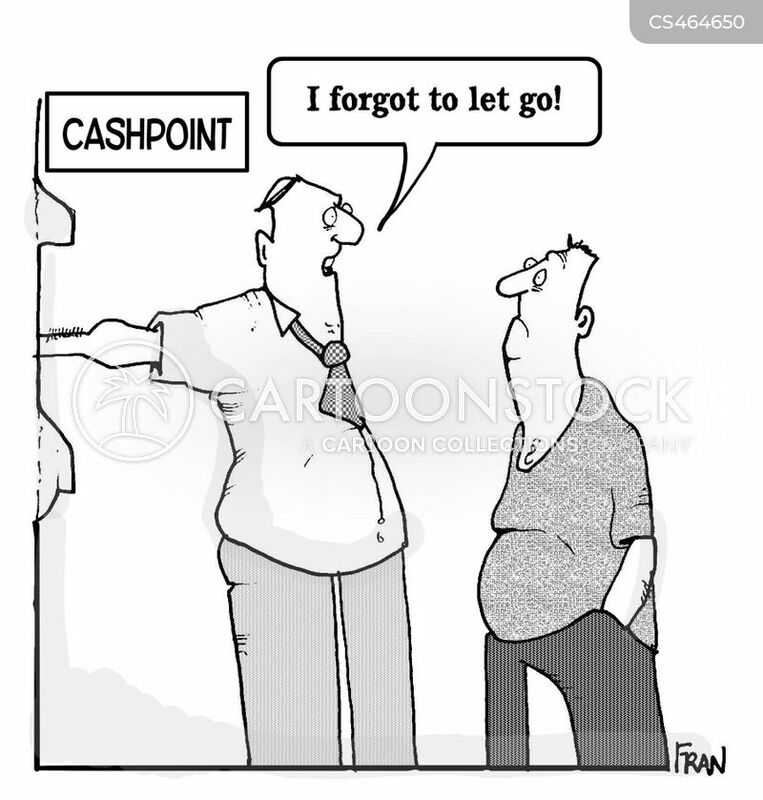 Cashpoint: "I forgot to let go!"